I am very particular when it comes to the tools I use for software development. When doing .NET development, I do not use only Visual Studio; I use both CodeRush *and* Resharper, plus some other plug-ins, as well as tweaking VS a lot to bend it to my liking (color scheme, fonts, custom keyboard shortcuts, different window layouts based on single or dual monitor setups, etc. ), besides having finally embraced PowerShell to run a couple of things, as opposed to waiting on Visual Studio to become “not busy”. When I started messing with Ruby on Rails I decided to spend some time (ended up being two weeks) with no tools other than Notepad2 and PowerShell. I wanted feel the pain first, figure out what I missed from my regular .NET development environment, and then figure out what was available for Rails development. Some of my buddies swear by Vim, which I know I’m going to like when I get to it, but I figured this wasn’t the time to look into it yet, as I was already too busy learning lots of other stuff, so I didn’t want to get stuck at every other keystroke. Since a couple of people suggested RubyMine, I decided to give it a go; the same company makes Resharper, so I guessed it’d be the easiest choice for me. The guess was right, at least so far. I started off just by using it to open multiple files and work with them. In small steps, I started to learn a few things and configure the environment to my liking. As much as possible, I’m setting it up with the same keyboard shortcuts I have in VS for certain actions that I perform a lot (for instance, looking up files, classes, etc.). The Productivity Guide lists features and how often I’ve used them. I then look for the ones I’ve never used, see what they’re used for and how they’re accessed (at the lower half of the screen), and then give it a shot. The Key Promoter plug-in is also a neat way to learn RubyMine. After you do the same thing with the mouse for 3 times (this is configurable), the plug-in shows a title tooltip to tell you what keyboard shortcut you can use to execute that action. This is a feature I started using recently and am enjoying: say I’m working on a given task (implement user story X), and I have several files open. Then, for whatever reason, I need to switch gears to work on a different task (fix bug related to Y), which will require me to open an entire different set of files. By creating “tasks” in RubyMine, I can easily adjust my workspace based on the files I need to work on for each task. RubyMine integrates very well with both Git and Mercurial for version source control. For the most part I use the command line for committing, pulling, and pushing changes, but there are quite a few occasions when I rather have some visual way to invoke commands and see results (such as when comparing changes, or seeing history). It also does some nice things, such as when I add a new file to a project, it asks me whether I want to version it or not. I haven’t fully explored this integration, mostly because I’m relatively new to Git/Mercurial, but I do like what I’ve seen so far. All the common options for navigating through files are there, such as “go to class” and “go to file”. A Resharper feature that I use a lot in Visual Studio is “Find in Solution Explorer” (Shift+Alt+L). What that does is to put the keyboard cursor in the file as it’s located in the Solution Explorer. I use that *all the time*! It allows me to quickly go to the same place where the current file is located, and then go to files in the same folder, or other folders in the surrounding area. I like that even better, as it allows me to easily navigate through the project’s structure, without having to go through a project treeview (which means I can always have the project window hidden, and therefore get more real state on my screen). Another way to navigate through a Rails application is by changing the Project window to “View as Rails”, which then allows easy navigation through controllers, actions, and views. 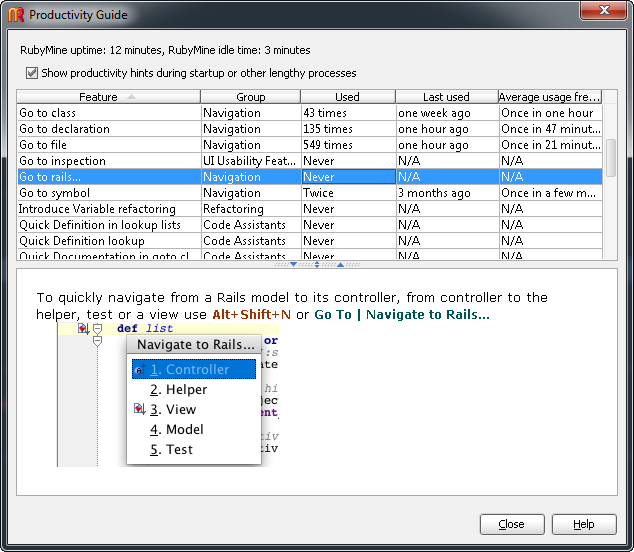 Running Rake tasks is another thing I normally do through the command line, but RubyMine has an option to run the tasks within its IDE. RubyMine has nice features to work with Cucumber. Besides the already mentioned Cucumber test runner, it also allows from a step to its implementation by hitting Ctrl+B. And when defining scenarios, it also shows a list of available steps to re-use. As far as loading the first instance, it seems like the load times between RubyMine and Visual Studio are very similar. However, normal usage feels a lot faster in RubyMine. Also, once one instance of RubyMine is open, opening a second project in a separate window is almost immediate, which I can’t say the same thing about VS (it takes just as long to load a second instance of VS). When doing Rails development, it’s convenient to have multiple command prompts open at the same time. I’m using Console2 for that, as it has tab support. 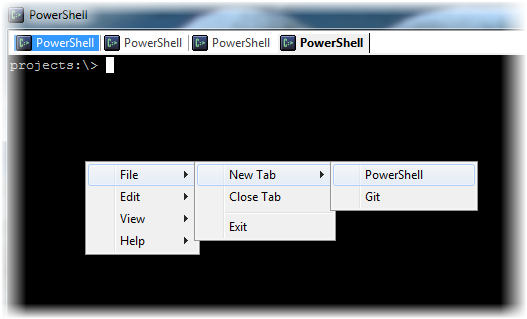 I also like how you can set it up to load different types of console, such as PowerShell, git-bash, etc. I’ve configured mine so I have shortcuts to open the different types of console I use, as well as alternating between the tabs quickly. I’m very happy with the tooling I have at hand at this point. I can’t really say, right now, that I’m missing anything from my .NET development environment. Quite the contrary, actually; not having to cope with the lockups of VS, the non-sense behavior of TFS, the testing-hostile tools and frameworks, has been a blessing. Oh, and by the way, I’m doing development on Windows, since I don’t own a Mac. I’ve set up an Ubuntu virtual machine, but I don’t know much Linux yet, so I’m saving that for a later moment. Last week I attended to the North Houston .NET User Group, where my buddy Ben delivered a great Intro to Rails session. The source code came out great in the video (just make sure to go full screen). Enjoy! 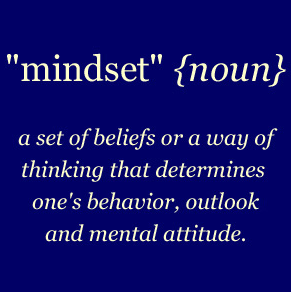 One of the main roadblocks I see for several .NET companies and developers to get into Rails is the matter mentality. For somebody who has been doing .NET development for several years only doing it “The Microsoft Way”, not looking outside of the box, getting into Rails can be a total nightmare. .NET and Rails are produced by people with different goals in mind: the first comes from a company who wants developers to produce software for their operating system and devices, whereas the second comes from developers who need to ship software. It doesn’t look like the people within Microsoft actually use their tools to build real world software, which causes tools and frameworks to not exactly address difficulties developers face out in the wild. Everything I’ve seen in Rails development has been quite the opposite: it’s all built because of a real world need. Rails is totally open source: which means that if somebody finds a bug, a vulnerability, etc, the patches make into the framework as soon as possible. If somebody writes a nice feature, there’s a good chance it can make it into the official release of the framework. As far as what I’ve heard, even though the source code for the ASP.NET MVC is available for whoever wants to get it, Microsoft does not accept community submissions. It is true that the product team seems to hear feedback from the community, but such feedback may or may not, one day, make it into the framework. Microsoft is too big of a company, and as such, even simple changes may take forever to be even considered. For several mundane things we need in applications, there must be a gem available out there (.NET developers can think of them as “components”). Authentication, authorization, avatars, image handling, you name it. As far as what I’ve seen, the Rails community doesn’t suffer with the NIH (not invented here) syndrome; these people embrace the idea of “let’s not reinvent the wheel every time”; if there’s an open source piece of code out there ready to rock, let’s use it. In the .NET world, even though there’s quite a number of things available in open source, most people and companies just don’t embrace it. “We won’t use it if it doesn’t come from Microsoft“, is what you normally hear. Testing is something that the Rails community just take for granted. It’s a no-brainer. The framework is built with testability in mind. Books are written the same way. Gems (provide either helpers or good documentation (or both!) so that developers can easily write tests for their applications that use these gems. Because testing is such a first-class citizen, tools and frameworks make sure that writing tests is as frictionless as possible. What’s the testing story coming out of Microsoft? MS-Test? Oh, please. What about all the sealed classes, and things that are nearly impossible to test (unless you use tools such as TypeMock)? We know of a couple very smart MS developers who are advocates of testing, but the company as a whole doesn’t send out a strong message about its importance. SubSpec has certainly helped my experience with writing tests in .NET apps a lot. However, it is still running far behind Cucumber/RSpec. A lot of people may think of tests as “oh, yeah, Assert.AreEqual(4, 2+2), big deal…“, but that’s not it. Behavior Driven Development helps a lot with understanding what’s valuable to the client, flushing out details of the requirements, planning how features are built, tracked, related… It helps with making sure that we only write enough code to deliver the features that are going to make the client happy. My perception is that a lot more Rails developers than .NET developers understand that. If there’s people who understand and follow these practices, as well as tools that remove any friction in doing so, the likelihood of success for a project is much higher. ORM is a non-issue in Rails. If you are on a relational database, you use ActiveRecord, and if you are on document database, you use Mongoid or MongoMapper. The main point is: nobody goes off and creates their own ORM component. Regardless of whether you are on a relational or document database (or both), the object model of the ORM options is very similar, so there isn’t a big learning curve going from one to the other. Also, I have seen some really clever and clean ways that the Ruby language allows for models to be written in such a way to really promote the idea of “thin controllers, fat models”. 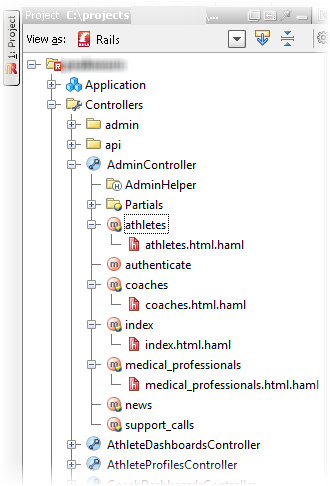 In the .NET space, ask half a dozen developers what they use for data access, and you may hear 6 different responses, including Raw ADO.NET (connections, DataReaders, DataSets, etc. 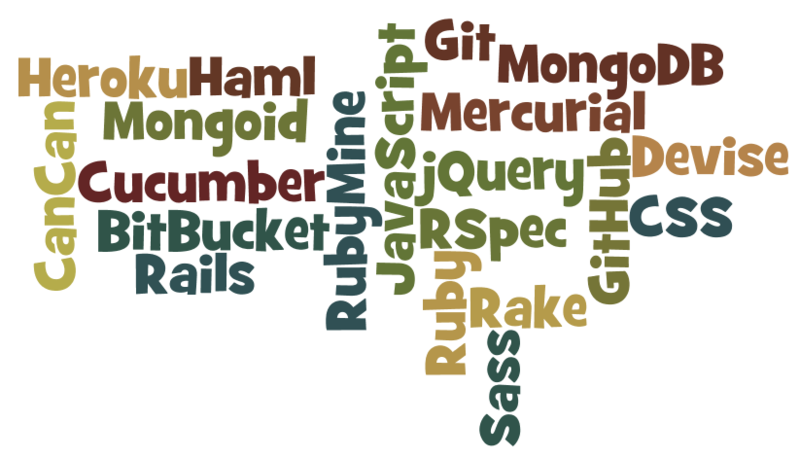 ), Entity Framework, Linq to SQL, NHibernate, CSLA, home-grown framework, or a variety of other ORM frameworks out there. Don’t get me wrong: diversity is usually a good thing, but in this case, I believe it does more harm than good. The differences in how all these frameworks work are so big that a developer who knows one of them can’t really easily switch over to a project using a different one. At this day and age, a source control system is a must for anybody doing software development, regardless whether it’s a company or an independent developer. The question then becomes: which one to use? The default one in .NET is TFS. The default one in Rails is Git. I’ve seen few .NET shops use either Git or Mercurial, and I have seen Rails shops using either Git or Mercurial, but I’ve never seen them use TFS. I’ve used TFS every since it first came out (5 or 6 years ago?). It’s been painful, every time I needed to install it, and it’s been painful every time I needed to work in a team of developers using it. Problems with files or changes getting lost, weird merge problems, weak support for “branch per feature”, etc. I started using Mercurial about 8 months ago, and spent another 3 or so on Git, and for the time being I’m sticking with Mercurial (I’ll save the “why” for another post). What I like about these Distributed Version Control Systems (DVCS) is the idea that I can install and have them up and running within 5 minutes. Using it on a daily basis for normal things (commiting changes, branching, merging, pushing to a remote server) is pretty much frictionless. The idea that I can do all of this locally, without having to deal with remote server all the time appeals to me. Also, being able to easily pull or push changesets between branches, remote servers, etc, is something I like a lot. Notice I only refer to TFS’ source control features (or lack of) here. As a source control system, I’ve grown to dislike it very much (choosing words so this post can be rated PG-13 here…). A common mindset in .NET development is: let’s use only tools that are fully integrated into Visual Studio. I personally think that’s a bad idea. The “Visual Studio is Busy” toast message that pops up quite often just reminds me of that. What’s the problem with switching over to a command prompt to execute some commands (build, run tests, create branch, commit, etc) and avoid being stuck just because pretty boy “is busy”? The more integration, the more likely the tool will be busy doing things you may not care about 80% of the time. In Rails land, people seem very comfortable with using whatever tools make them feel more comfortable and productive doing their daily job. My main point in this post is: this is the perception I have on this subject today, and it does look like the mentality is very different in these two camps. One of my pleasant surprises in learning Rails is the plethora of great material available, either for free, or very inexpensive. I am keeping track of the resources that have been useful for me, and am making “The List” available as a shared note in Evernote, as I keep changing this list regularly. But aren’t there already several “get started” pages and blog posts out there? Yup, you bet. So why am I creating another one? Well, this one only features the stuff that I have used myself, so it’s stuff that has worked for me, and I’d like to be able to come back to it and review things I know I’ve learned someplace before. By making it public, I’m hoping it may be useful to somebody else. I’m organizing the list with my “getting started” recommendations at that top, and then everything else afterwards, organized by areas, such as “Rails”, “Ruby”, “Testing”, etc. Some things I’m listing there aren’t specific to Rails (such as RSpec, Cucumber, or even Ruby), but I’m putting them there because I’ve come to start using them because of Rails. Because there is such a variety of resources available out there, I keep collecting all the things I come across and adding/tagging them in Evernote. Once I get around to trying out the resource, if I feel it’s been somewhat valuable to me, then I move it to The List. Besides links and general notes, I also add e-books (in PDF format) to Evernote, where I can then run searches and find the stuff I’m looking for real quick. If you have any resources that have really worked well for you, please let me know! Ruby on Rails or ASP.NET MVC? A couple of months back I mentioned that I’d be taking a break from speaking and would start focusing on learning. And that’s what I’ve been doing over the last couple of months. For the record: in the last 8 years or so, I’ve done very little web development; and that little worked involved mostly working on middle tier components. I’ve done some work on WebForms, but not a lot. Before that, I had spent a couple of years doing “classic” ASP, with COM components providing all the middle tier and html generation. With that said, I knew that catching up with web development wasn’t going to be easy. At first, I started looking into ASP.NET MVC. Over the last three years I have read articles on it, I’ve seen presentations, videos, etc. I remember seeing it being unveiled at the ALT.NET Open Spaces conference in Austin, and thinking how that looked a LOT better than WebForms. I thought I’d be better off starting on that track, as at least I’d be working on a familiar environment (C#, Visual Studio, having “some” understanding of ASP.NET and MVC). I decided to base my studies off the Test-Drive ASP.NET MVC book. I had heard good comments about this book, and I liked the approach of development the sample app from a TDD standpoint, as well as using NHibernate and some other solid Open Source frameworks. I did go through almost half of the book following along with the examples (I am planning on finishing it at some point, at least for completeness sake). Eventually, due to peer pressure, I decided to start learning Ruby on Rails. And I have no regrets at all (can’t ever say that phrase without thinking of William Hung)! Of course, some of the things there aren’t required (such as Devise or CanCan), but I’m learning because I’ve seen the potential and it made sense to take the time and do it. I have been seeing quite a few people whose opinion I value jumping ship from .NET to Rails and saying many good things about it, so I figured I should check it out. Like I said, I’m enjoying what I’ve seen so far, so you can expect more blog posts with my findings in this area as time goes by.